Open mid-Mar-Nov, 18 hole. This course with rolling hills and lots of water challenges golfers with many traps and difficult par-4s. The facility includes a driving range and snack bar. Custom stay and play with course in the area and nearby lodging. 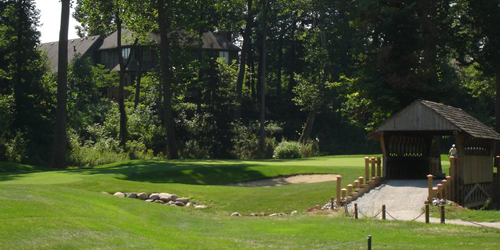 River Glen Country Club reserves the right to change price and offer at anytime. Prices and offer are subject to change without notice. GolfTrips.com is not responsible for errors posted in this golf package.